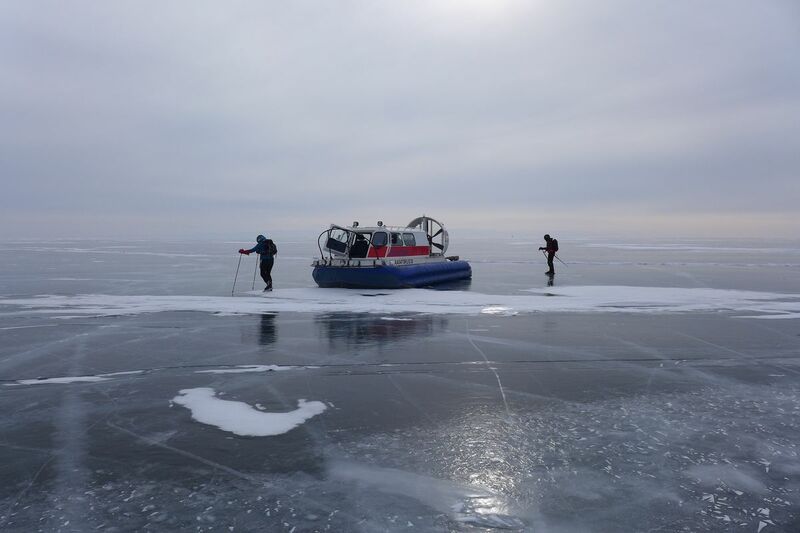 Founded in 1991, «Baikal-Complex» is one of the oldest private travel operators in Siberia. 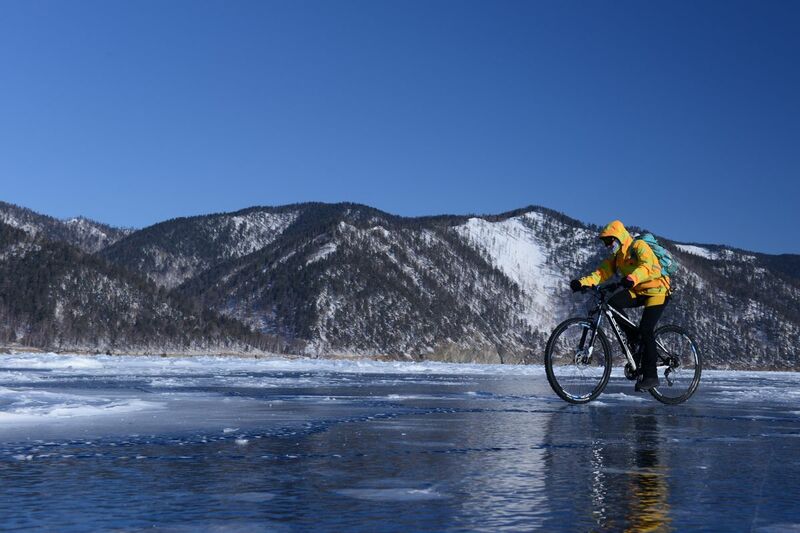 Recommended by famous “Lonely Planet” and “Trans-Siberian Handbook” , we have gained invaluable experience in successful travel arrangements for individuals and groups from all over the world at lake Baikal, along the Trans-Siberian Mainline, in Mongolia and China. Want to skate the biggest skating rink in the world ? Imagine black ice extending far into the horizon, as far as you can see.Not all ice is created equal – sometimes flawlessly smooth, sometimes coarse, often full of cracks and bubbles rigidly frozen under the surface. The woody hills of Pribaikalskiy ridge run along the shoreline, interspersed with sharp capes, precipitous cliffs and small sandy beaches. 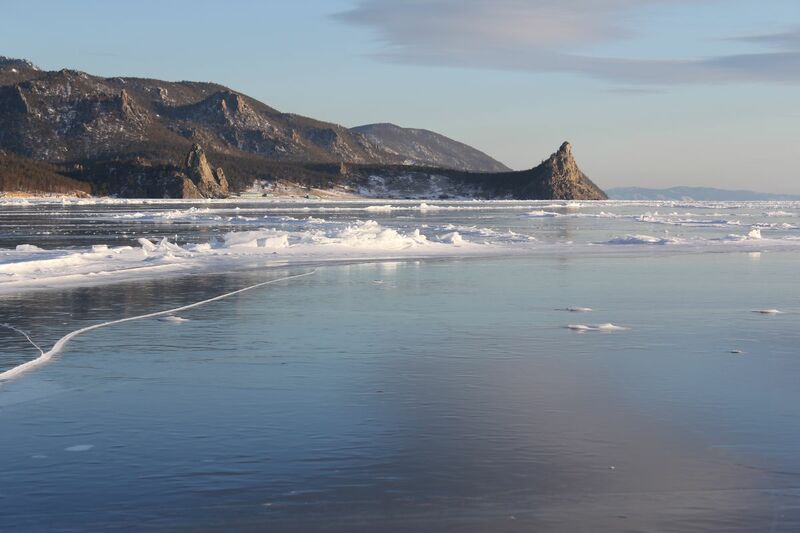 Due to the enormous volume of the lake, Baikal only starts to freezes in lateJanuary but in the space of just a few days, the ice can grow thick enough to support the weight of a man. 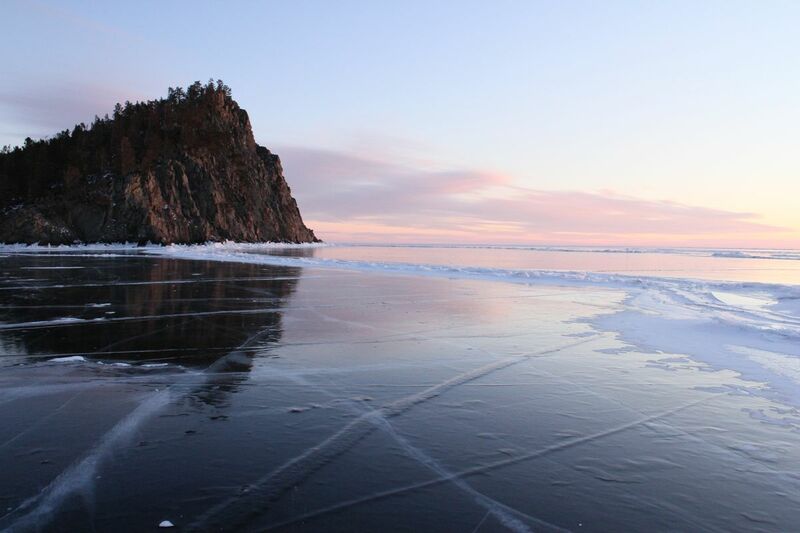 And then, for one and a half months Baikal turns to a Nordic skate tour paradise. 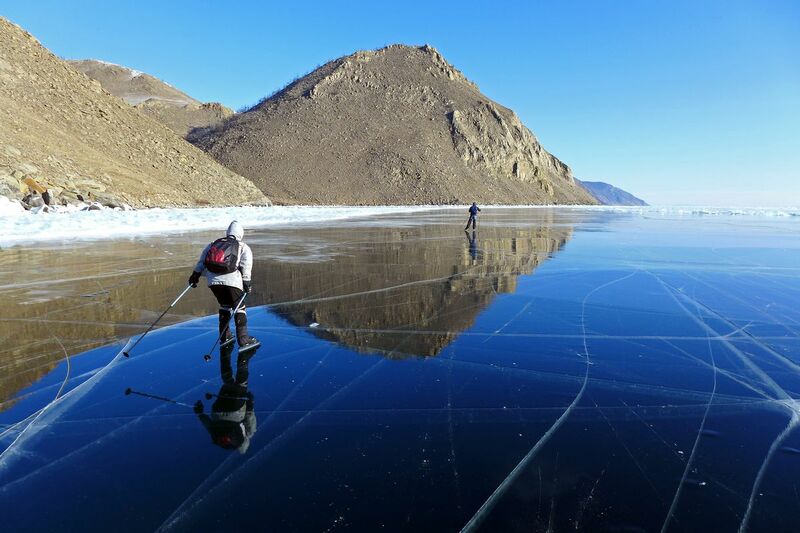 We can put together skating journeys across the lake of any length up to a week, completely tailor made around your requirements and budget – just let us know when and where and we do the rest. Alternatively, below you can find a selection of our most successful skating tours, honed to perfection over many years. 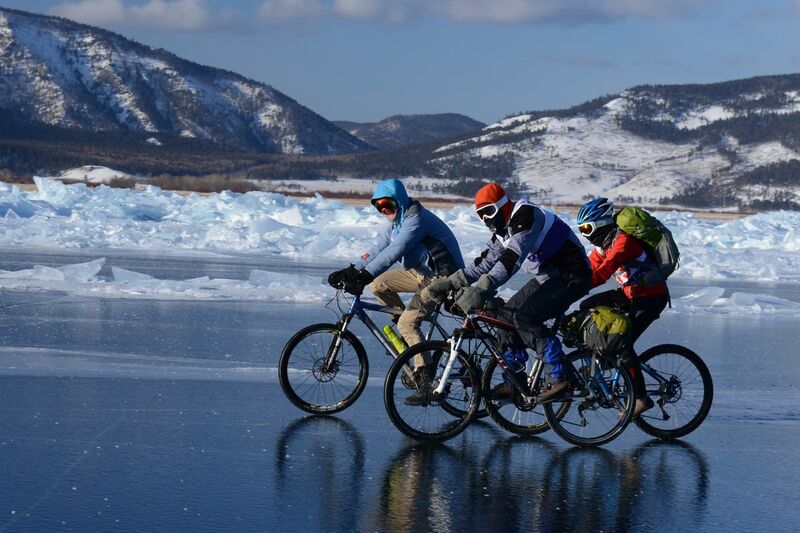 For more details please see "Baikal Marathons"
Baikal is one of the most grandiose skating rinks of the world. Its extent is 636kilometers (extent of Switzerland, for comparison – 457 kilometers). For skating well are appropriate, as a rule 280-350 kilometers "only" from the settlement of Listvyanka to the northernmost tip of Olkhon island along the west bank - there are no snow. Drive from Irkutsk to the Maloe More area. Check in Oltreck guest house. Try on the skates. Day skating around the islands of the Maloe More, ice and grots photography. Morning skate and departure to Irkutsk. 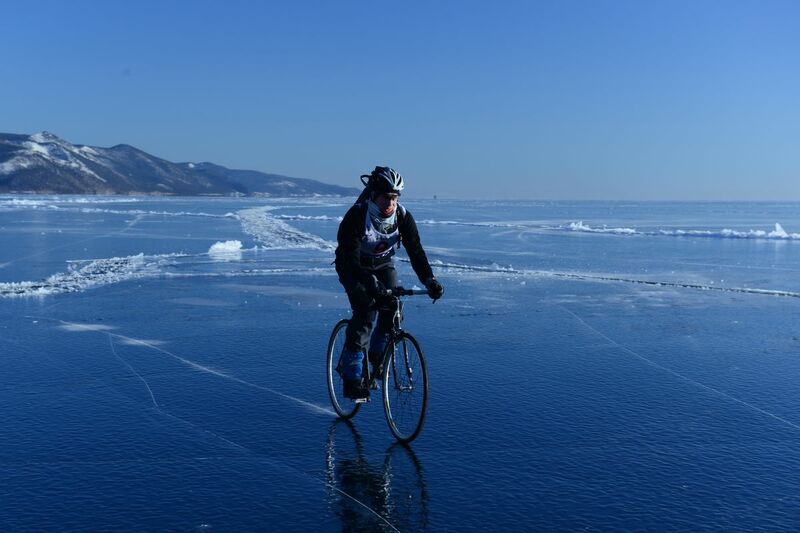 Unique chance to challenge more than 200km of Baikal’s wild ice. 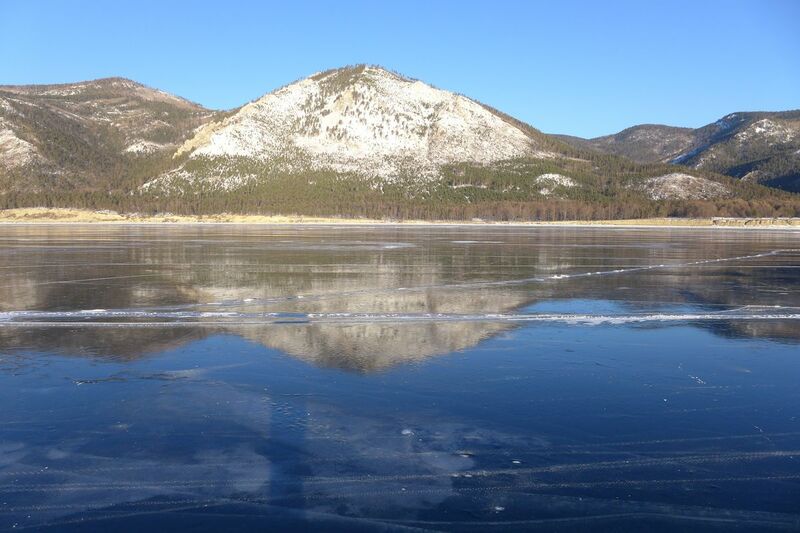 From Olkhon to Listvyanka, 7Days/ 6Nights. 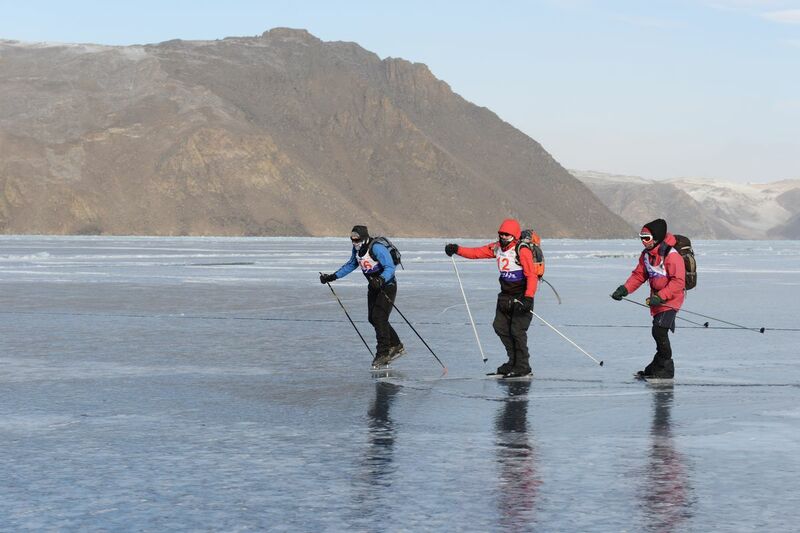 Longest, most beautiful and challenging Nordic skates tour at Baikal. Groups are fully escorted by safety hovercraft. 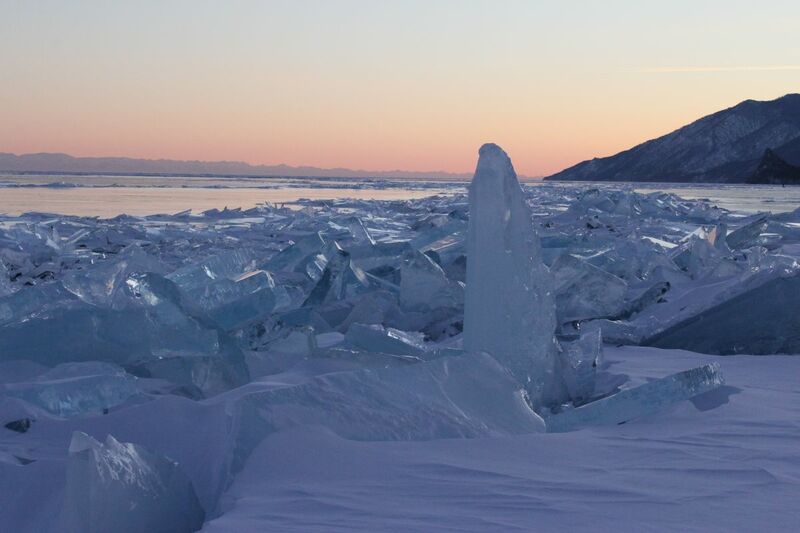 Usually Baikal freezes over at mid January and in a few days the ice grows thick enough to hold a man. It is followed by the period when the ice is mirror-smooth and one can hardly understand if the huge immensity is hard crystal or it is very still and quiet water. 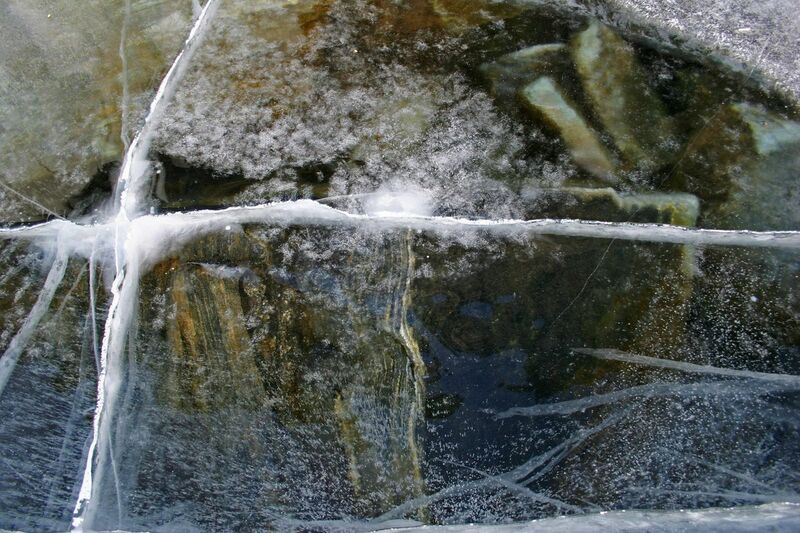 Later on, the snow will partly cover the surface, wind will make it hard and bumpy, cracks in ice will appear. 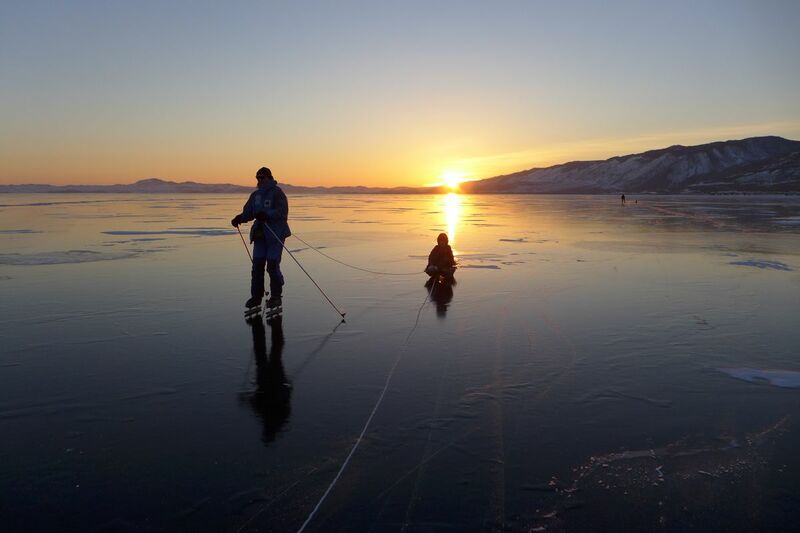 February and early March is the ideal time when Nordicl skating fans hold a traditional skating tour along the western coast of Baikal. 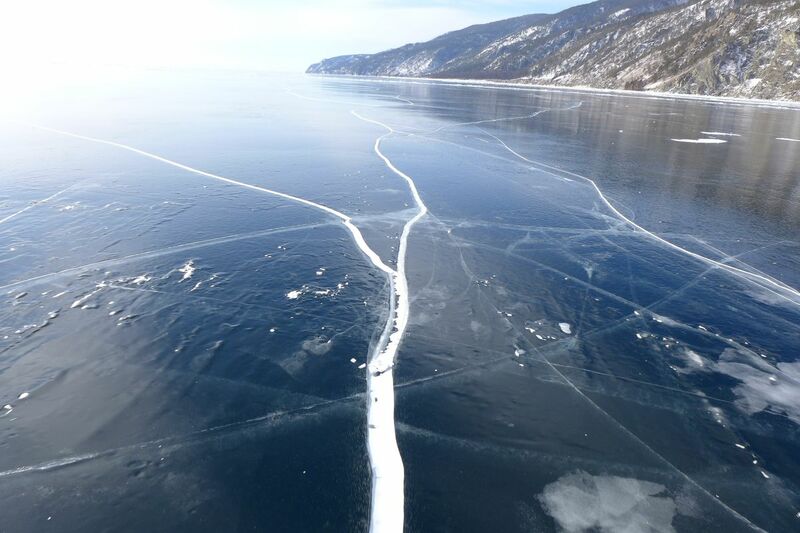 This several day tour is one of the most fascinating and extreme trips at Baikal. It requires good skating skills, winter travel experience and hunger for adventure. The tour starts in the settlement of Sakhurta and runs down south, passes along Ust Anga, Bolshaya Buguldeyka, Peschanaya Bay, Bolshoe Goloustnoe to Bolshie Koty and finally ends up in Listvyanka village. Overnights in guesthouses or small private hotels. En-suite rooms, full board, expert guides and safety hovercraft. Arrival to Irkutsk, transfer to Sakhurta near Olkhon island, 4 hours. Check in guesthouse. 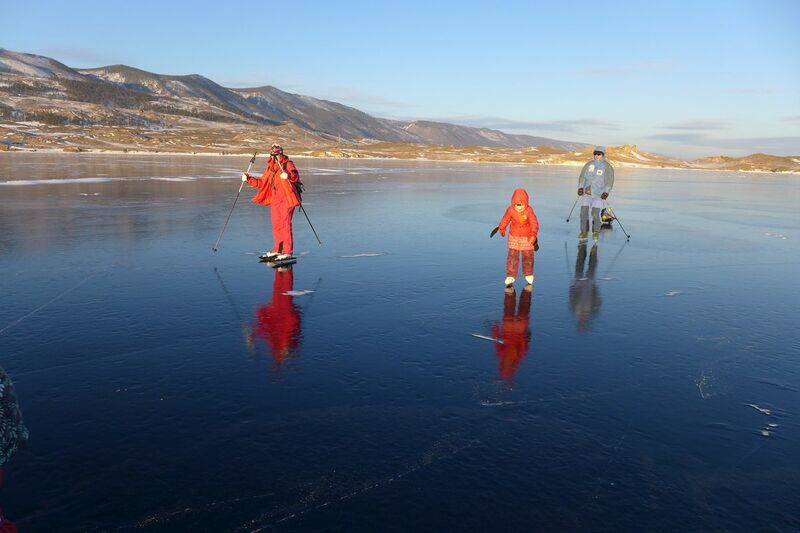 Day to try on skates, 40 km round trip along Olkhon Island. Overnight in Listvyanka, sightseeing tour in town to visit Baikal museum, etc. A relaxing 1 or 2 days tour to combine Nordic skating and culture experience when stay in a small town on the lake. This easy skate tour may be done in one day trip. 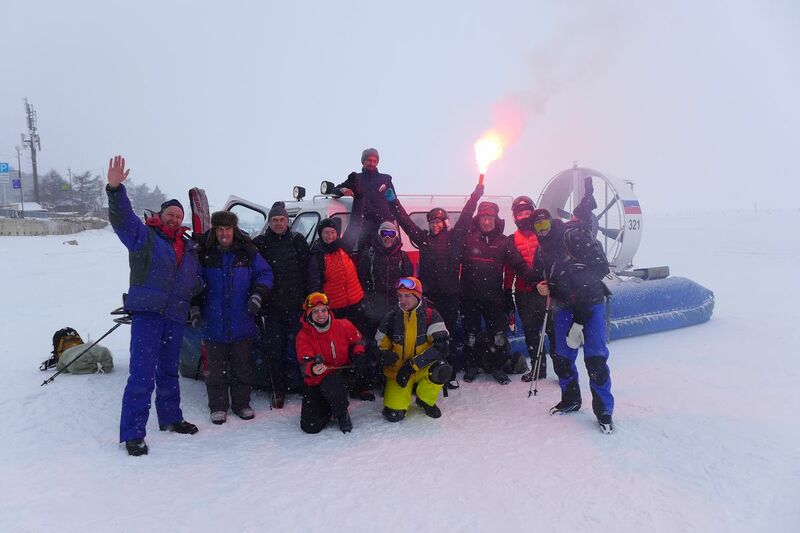 When Listvyanka often has snow on the lake, Goloustnoe has good skating conditions for 2 months. A day trip includes transfers, lunch and hours of incredible Nordic skating experience. Two hour drive from Irkutsk takes you to the Bolshoe Goloustnoe town. Former Buryat fisherman and sheep breading settlement, forest industry place in the Soviet time, now the town is quiet and relay more and more on tourism. Wondering around the settlement, visit to the town’s small Russian Orthodox church, skating and photographing Baikal ice followed by traditional sauna and dinner in the evening let one feel Siberia is amazing land. Unique nature, open character and hospitable people make it so much warmer. Overnight in guest house or family stay, full board, English speaking guide. Drive from Irkutsk to Bolshoe Goloustnoe town . Check in U Mikhalycha guest house. Skating, sauna. Sightseeing, skating, lunch. Departure to Irkutsk. 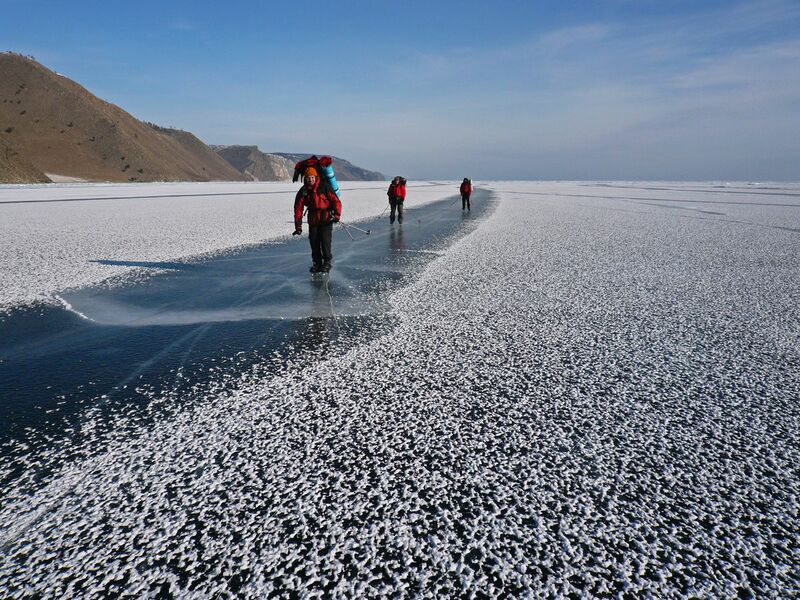 «Baikal-Complex» arrange exciting adventure itineraries throughout Russia, Mongolia and China including: at LAKE BAIKAL, in the ALTAI Mountains, Republic of BURYATIA, Russian FAR EAST, cities and towns along the TRANS-SIBERIAN & BAIKAL-AMUR (BAM) RAILWAYs, Kamchatka, Ulaan Baatar, Mongolia. and China. We offer visa support, transfer, accommodation, excursions and ticketing service for our clients in Vladivostok, Khabarovsk, Chita, Severobaikalsk, Ulan Ude, Krasnoyarsk, Novosibirsk, Omsk, Tomsk, Ekaterinburg, Perm, Moscow, St.Petersburg, Yakutsk etc.